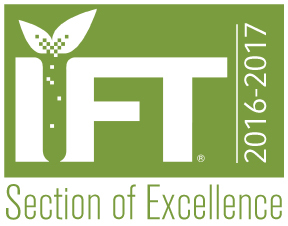 MINNESOTA SECTION IFT KICK OFF MEETING EVENT! 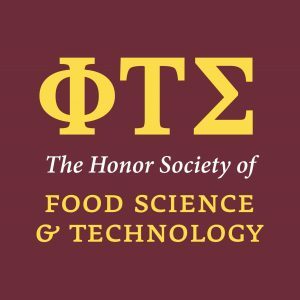 Overview: The Minnesota Section of IFT and Phi Tau Sigma chapter at the University of Minnesota are delighted to welcome our distinguished speaker, Dr. Justin Shimek, Mattson, Silicon Valley’s resident food and beverage innovation firm, for a discussion of how three consumer and technical macro-drivers for change are anticipated to impact the future of food and beverage innovation and experiences 10 years ahead. Also, please join us on a self-guided tour of the exhibit gallery at the newly opened Bell museum during the networking hour starting at 6 pm! 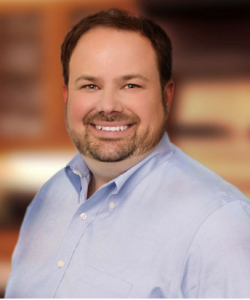 Speaker: Dr. Justin Shimek, CEO and CTO at Mattson & Co.
Dr. Justin Shimek is CEO and Chief Technology Officer at Mattson & Co., an independent developer of new food and beverage products that is shaping the future of food. His clients’ range from Fortune 500 CPG companies to emerging start-ups and are working across every category, consumer need state, technology, and channel of distribution in food & beverage. For the past 40 years Mattson has conceptualized, developed, branded, and scaled hundreds of product lines and in the process created billions of dollars in revenue for clients. Prior to joining Mattson, Justin held multiple product and process development positions at some of the food and beverage industry’s most recognized firms including Del Monte Foods, E. & J. Gallo Winery and General Mills. He has developed and commercialized new products both domestically and internationally and has numerous patents and technical publications. Justin has a Ph.D. in food science from the University of California, Davis and Bachelors of Science degrees in both food science and nutrition at the University of Minnesota. Currently, Justin serves on the UC Davis Department of Food Science & Technology Leadership Advisory Board and the Google Innovation Lab for Food Experiences. Justin has been an active member of the Institute of Food Technologists since 1994 and served as a volunteer leader in a variety of roles, including on the IFT Board of Directors. He currently serves as the Treasurer of IFT’s non-profit foundation, Feeding Tomorrow. From North: Get on I-35W-S. Take exit 23A (to Cleveland Ave). Turn right onto Larpenteur Ave. The Bell Museum will be on the left. From South: Get on I-35W-N and take exit 19 towards E Hennepin Ave. Turn right onto E Hennepin Ave and follow to Larpenteur Ave in Falcon Heights. The Bell Museum will be on the right in 2.5 miles. Ave. Turn right onto Larpenteur Ave. The Bell Museum will be on the right in 1 mile. From West: Get on I-394 East. Take the I-94 E and exit onto MN-280 N on the left. Exit onto Hennepin Ave/Larpenteur Ave. Turn right onto Larpenteur Ave. The Bell Museum will be on the right in 1 mile. Parking: The Bell Museum is located at the corner of Larpenteur and Cleveland Avenues on University of Minnesota’s St Paul Campus, directly across the street from Gibbs Farm. The main entrance to the museum is fully accessible from the parking lot; note that a drop off and pickup area is available near the building entrance without entering through the pay stations. Paid surface lot parking, managed by UMN Parking & Transportation Services, is available with an entrance off of Larpenteur Ave. The daily rate is $4. Street parking is available on the streets. On-line credit card payment is preferred or you can pay the night of the event if needed. Reservations are due by Tuesday, September 11 at 5:00 PM. If you have special dietary needs such as allergies, gluten free etc., have additional questions or need to cancel please call Tanu Tokle at 479-856-1583 or email TanuT@qualitechco.com. NOTE: Everyone needs to register. Create your own Yucatan Bowls with White or Brown Rice, Charro Beans, Braised Chicken & Beef, Roasted Portobello Mushrooms, Toppings Bar including salsas, and sides. Iced Tea, Lemonade, Iced Water included. Also, Cash Bar will be open from 6:00PM (in the Exhibit Gallery) – Beers and wines are only available at the cash bar.